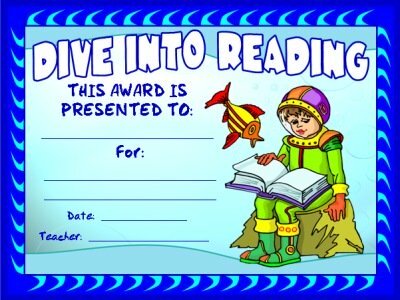 Free: 5 page reading resources display banner! about the books that they have read? 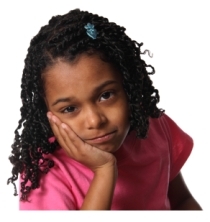 Do your students look like this student when you assign them a writing activity about a book that they have read? Many students enjoy reading novels as a class, or on their own, but the majority of students moan, yawn, or complain when it comes down to writing about a book that they have read. Instead, engage your students in reading by providing them with activities that build reading comprehension and writing skills in a fun and challenging way! My students are eager to read their next books and complete their book reports because each project is different from the previous one in style, layout, and content. My students are motivated to finish reading their books, so that they will receive a sticker on their reading sticker charts. I have found that my students strive to use their best effort to complete their book report projects because they are proud of their finished work. The bulletin boards in my classroom are filled with eye catching and colorful displays of my students' projects. 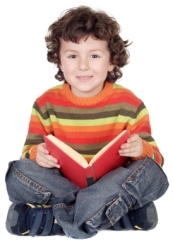 I have created six web pages devoted to different types of reading resources. Below you will be able to read information about these six different reading resources pages. You can click on the underlined links in each paragraph, and at the bottom of each text box, to go to these six reading resources web pages. are found on Unique Teaching Resources. 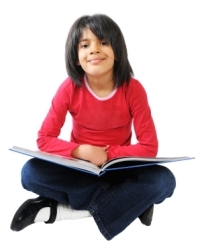 On this page, you will find reading resources on how to use book reports in your class. This reading resources page contains information about some of the different strategies that I have used with my own students to promote reading literature. You can read about the three easy steps that I have successfully used with my students that has engaged them in reading books on their own. My students are excited to read their next books and begin their next projects. 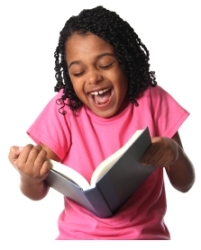 They think that reading is fun! On this page, you will also find examples and photographs of many of these unique reading resources and student projects. Click here to go to book reports information page. Book Report Projects That Your Students Will Love! 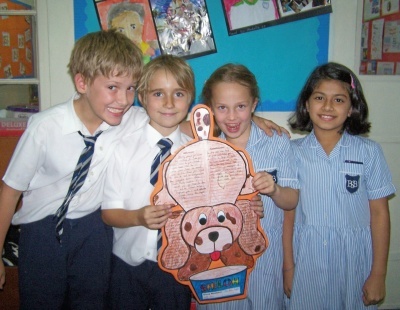 This web page contains over 25 different book report templates and projects. These fun reading projects come in a variety of different shapes, sizes, and themes. I created all of the book report projects that you will find on this page for my own students. These book report projects have been tried, tested, and refined over the years as I have used them year after year with my students. Rather than reading an explanation about the book report projects that are on my website, I'm going to share a few of the letters that I have received from teachers about these reading resources. Click here to go to book report templates and projects page. 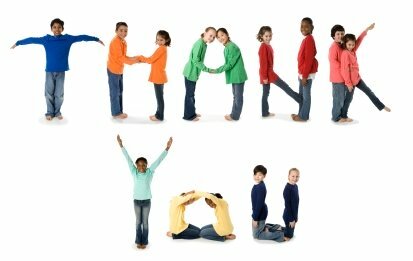 Comment: Dear Heidi, I just wanted to say thank you for the most amazing reading resources that I have ever come across in my thirty years of teaching. I used many of the book report projects this year and the students absolutely loved them. What was particularly pleasing was seeing some of my reluctant readers (especially the boys) really wanting to read books and complete the activities. Keep up the great work! 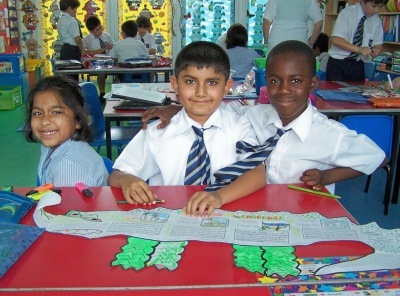 Comment: Thanks for the great book report resources on your website. I'd rather pay for something that I will use, instead of purchasing an entire teaching resource book and only use 1 or 2 things. My students are really excited about completing the Castle Book Report project. These are the types of activities we need, especially with inner city 4th graders who need to learn how to work together and keep engaged at the same time. 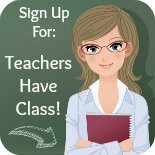 I've posted your site in the teacher's lounge and will help spread the word. Comment: Just thought you would like to know that I just finished doing the rocket book report projects with my 1st graders. THEY LOVED IT!! I will be looping up to 2nd Grade with them next year, so I am saving the school bus book report for the beginning of the year. You can bet that I will be ordering others! Comment: Thank you so much for letting me know about the new book report templates. I have been anxiously watching for the house book report project to be posted on your site, so I was excited to be able to purchase it today. It is absolutely adorable. I must tell you that I have received so many compliments from other teachers this year about my students' book reports that I have displayed in our school halls. I also have a student teacher and she loves all of your teaching resources too! Thank you again for all of your wonderful ideas....you make my life so much easier as a teacher! Comment: I feel so fortunate to have found your website. I have referred several of my co-workers to your website. Just for the month of January, there were three teachers displaying your book report projects. I have the trophy book report projects, my neighbor to the left had the computer book report projects, and my neighbor to the right had the birthday cake book report projects. Thank you so very much for all of your work! What kinds of activities do you provide your students with after they have read a book together as a group or as a class? The reading response projects that I have created provide students with a unique way for them to respond to the books that they have read together in a fun, yet challenging way. 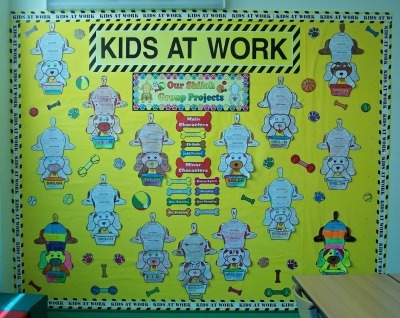 These projects are fun, creative, and guaranteed to help you keep your students on task. 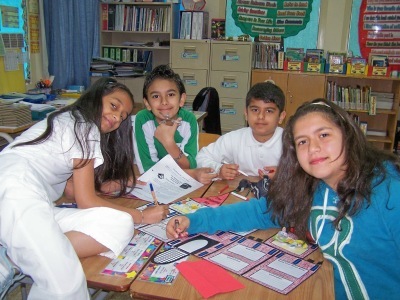 Learning to work in cooperative groups is an important skill that we must teach our students. 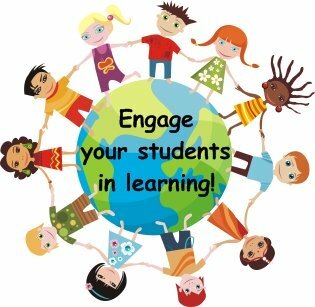 As teachers, we need to present our students with opportunities to work together with their classmates. 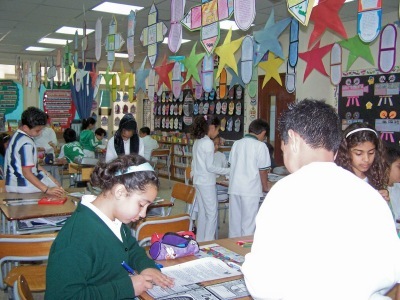 On this resources for books web page, you will find many cooperative group projects based on popular children's novels. For each book title, you will find LARGE and creative group projects for your students to complete after they have read a book together. There are also fun individual student projects available for the majority of the novels that are found on this page. All of these individual and group projects contain the following components: direction page, first draft writing page, grading rubric, final draft templates, color final draft templates, and a five page banner for you to use as a title for your classroom bulletin board display. when they are working on group projects together! for the book The Enormous Crocodile by Roald Dahl. I have created some unique reading incentive and sticker charts in a variety of different themes and shapes. I have also designed a five page matching banner (see two examples below) for each sticker chart set for you to use for your classroom bulletin board display. 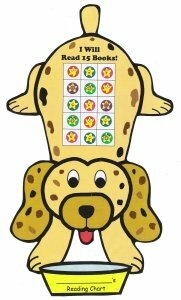 This is an example of my Puppy Reading Sticker Charts. 15 books in the time frame that you have set them. 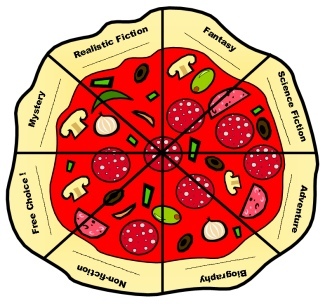 This is an example of my Genre Reading Pizza Sticker Charts. across a wide variety of different genres. 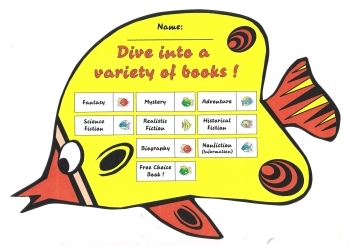 Dive Into a Variety of Books sticker chart set. incentive and sticker charts page. Being able to recognize and read sight words is one of the basic building blocks of learning how to read. A sight word is a word that children can read readily without having to sound it out. To lay a foundation for learning how to read, it is imperative to introduce sight words to children. Dr. Edward B. Fry 1000 Instant Words List (which is commonly referred to as Fry Words) are the most common words in English ranked in order of frequency. In 1996, Dr. Fry published a book titled "Fry 1000 Instant Words." His research found that a mere 25 words make up approximately 1/3 of all items published. He discovered that 100 words comprise approximately 1/2 of all the publications written, and 300 words make up 65% of all written material. On this reading resources page, you will find free Fry flashcards and word lists for his 1000 words, which I have divided into ten sets. There are also flashcards and a word list for Fry's 100 Picture Nouns. The Dolch Sight Words are a list of the most frequently used words in the English language. These sight words make up 50 to 70 percent of any general text. On this page of reading resources, you will find free Dolch sight words and flashcards for the following levels: preprimer, primer, first grade, second grade, third grade, and the Dolch nouns. 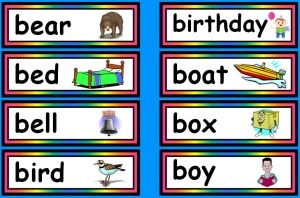 Click here to go to reading sight words page. For some of these award winning books, I have created fun and engaging group projects, as well as individual student projects. You can use the projects and reading resources found on this page to supplement these classic and award winning novels. Below you can view examples of projects from two Newbery award winning books. Shiloh written by Phyllis Reynolds Naylor. This book won the Newbery Award in 1992.
and Judd) and write about the problem, solution, and conclusion. my classroom of my students' finished Shiloh group projects. Below: In the three photographs below, you will see examples of my castle group projects for the book The Whipping Boy by Sid Fleischman. This book won the Newberry Award in 1987. 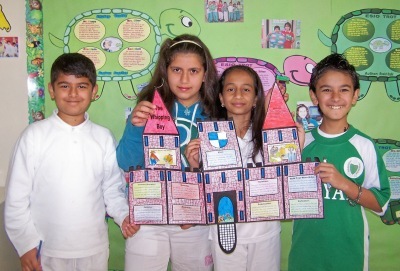 For this large castle shaped project, students describe the four main characters and the setting, problem, solution, and conclusion. 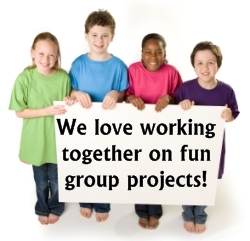 group, we learn from each other and have fun at the same time! The Whipping Boy castle group project! of my students' finished castle projects. Newbery and Caldecotte Medal books page. Thank you for visiting my Reading Resources page.